An Artistic Discovery: The Congressional Art Competition 2013 is on display at Artisphere through June 23. Congressman Jim Moran hosts this exhibit of art by youth of Northern Virginia. One work from submissions is selected to be displayed in the U.S. Capitol for one year. One art work from the exhibit is also chosen for the Ode Street Tribune Outstanding Art Prize. 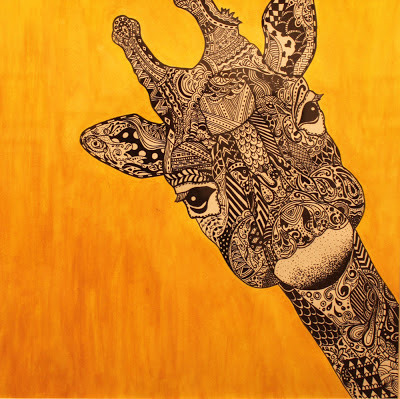 This year's Outstanding Art Prize winner is Cecilia Martinez of Wakefield High for her work "Giraffe." This masterful marker-and-watercolor work captures the curiosity and exuberant activity of Rosslyn, as well as her continual reaching for artistic heights.